Our typical client has been struggling with chronic and often complex conditions for years. They’ve been to several doctors and alternative health care practitioners. They’ve tried several different diets and have a box full of synthetic supplement products that didn’t work. They’ve been told that “nothing is wrong”, that they’re “fine” or that their problems are all in their head. But they know that their symptoms are a result of a deeper problem that hasn’t been identified yet. are willing to make the necessary dietary upgrades and lifestyle changes to support health and well-being. We are primarily “health investigators.” We help people struggling with chronic, complex illnesses that haven’t been able to find help anywhere else. Since health is a natural state, we look to understand why a person isn’t healthy. 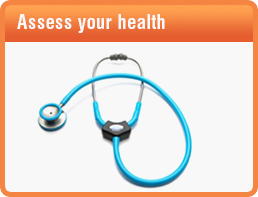 We use a variety of tools in our nutritional evaluations, including modern laboratory techniques (hair, saliva, blood, and urine testing), detailed questionnaires and a thorough medical history and examination. We then use whole food nutrition, herbal remedies, whole food supplements, detoxification and lifestyle changes to restore optimal organ function. Effective and lasting healing is only possible when the root causes of illness are addressed. By understanding the core systems of the body, how they are related, and how their function can be restored, many chronic illnesses can be prevented and even reversed. What is our nutritional philosophy? We practice a new model of whole food nutrition, sometimes referred to as regenerative nutrition. It represents the future of healthcare. That’s why we emphasize you let food be your medicine. Investigative. We view symptoms as clues to help us figure out which organs are undernourished. Therefore, allowing us to address underlying cause of the problem. This approach leads to more profound and longer lasting results. Holistic. We view the body as an interconnected whole, and recognize the importance of these connections to restore health and eliminate disease. Safe. Whole Food nutrition has no side effects, other than spontaneous improvement and increased energy. Client-centered. We focus on you, our nutritional client, not the disease. Nutritional protocols are highly individualized based on each person’s needs. Participatory. Nutritional clients are respected, empowered, educated and encouraged to play an active role in the healing process. Integrative. We combine the best of both modern and traditional healing arts emphasizing the importance of whole food nutrition and a healthy lifestyle. Restorative. 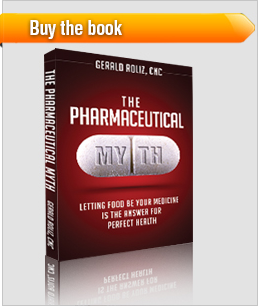 Designed to promote optimal function, prevent and reverse disease, and ultimately improve the quality of life. Evidence-based. Based on the age-old truths from the whole food nutrition pioneers Dr’http://www.thehealingbody.com/wp-admin/post-new.phps Weston A. Price, Royal Lee, Melvin Page and Francis Pottenger. What conditions do clients come to us with? In conventional allopathic medicine, there’s a doctor for every part of your body: cardiologists for the heart, gastroenterologists for the digestive system, neurologists for the brain and nervous system, podiatrists for your feet and opthamologists for your eyes. But at The Healing Body, we see you as an interconnected whole. We recognize that in order to support the healing of one part of the body, all of the other parts must also be considered.